A break in training as he prepares for the forthcoming 2018 ITTF African Championships, which commence in Port Louis, Mauritius on Monday 3rd September; recently Nigeria’s Quadri Aruna visited the SOS Children’s Village International in Isolo, a suburb in Lagos. 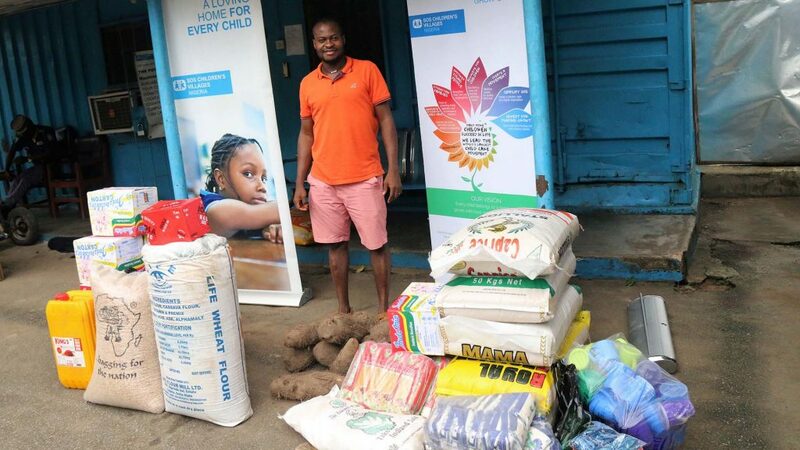 Accompanied by his wife, Ganiat; on Tuesday 28th August, the couple spent time at the international home for the less privileged, bringing smiles to young faces. Welcome guests, Quadri and Ganiat Aruna were received Gboyega Fadowole-Aje, the National Fund Development and Communication Co-ordinator, Gboyega Fadowole-Aje. He described the gesture as most commendable, hoping other sports stars in Nigeria will follow suit. Young people are dear to the heart of Quadri Aruna; the gesture being part of his plans to support the disadvantaged in society. 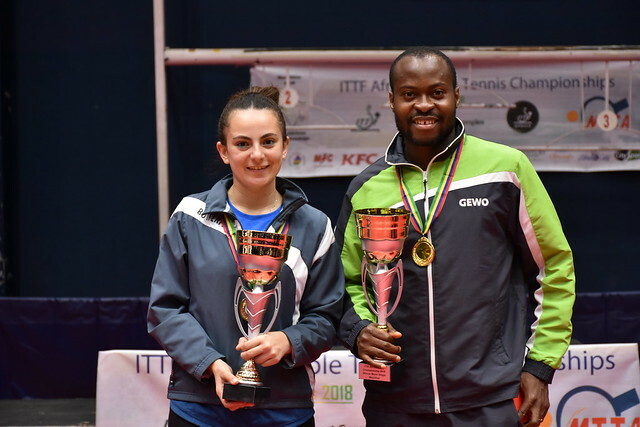 Most pertinently, Lawrence Agbaegbu, the National Store Co-ordinator of SOS Children’s Villages, believes the efforts of the table tennis star is a welcome development, while urging other well-meaning individuals and corporate bodies to support the centre. 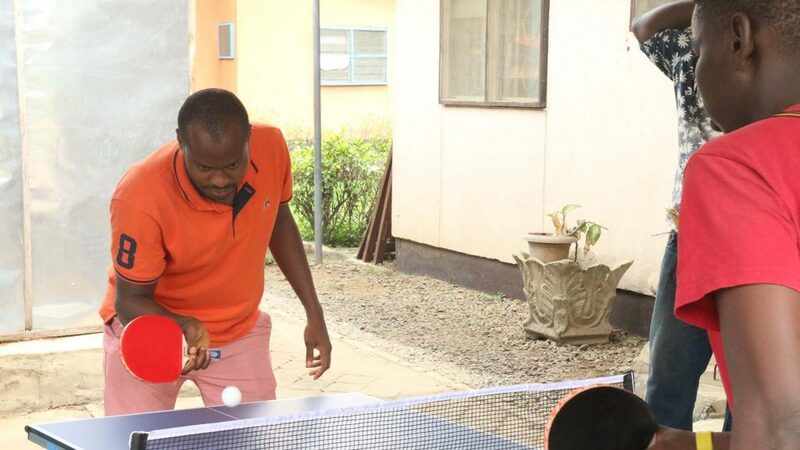 Notably Quadri Aruna donated a mini table tennis table with food items valued at thousands of dollars being given; thoughtfully Quadri Aruna also took time out to play table tennis with some of the children at the centre.